Perfect for solo musicians, the Native Instruments Komplete Audio 1 provides a hassle-free, high quality audio recording and solution p.. Perfect for solo musicians, the Native Instruments Komplete Audio 1 provides a hassle-free, high quality audio recording and solution playback for small studios or field recording. Komplete Audio 1 combines 2 simple inputs, 24-bit/192kHz recording quality and zero-latency headphone monitoring. All perfectly housed in a sleek, stripped-back USB audio interface that won't over-complicate your recording process. KOMPLETE AUDIO 1 provides two independent inputs – XLR for vocals and jack for Guitar or Synth / Piano. It’s also ideal for podcasters, vloggers, and other creators who want to capture speech at the highest quality, without breaking the bank. Komplete Audio 1 also features a seriously impressive software suite including MASCHINE Essentials, Ableton Live Lite, MONARK, and top NI effects for polishing up recordings. To record and play back audio with a full 24-bit / 192kHz sample rate at this price is almost unheard of! Komplete Audio 1 rivals some of the 'industry standard' USB audio interface offerings nearly twice the price. MASCHINE Essentials: Full MASCHINE software (same as MIKRO,MASCHINE MK3, JAM) with 1.6 GB MASCHINE Factory Selection of samples, one shots, loops, and instruments. 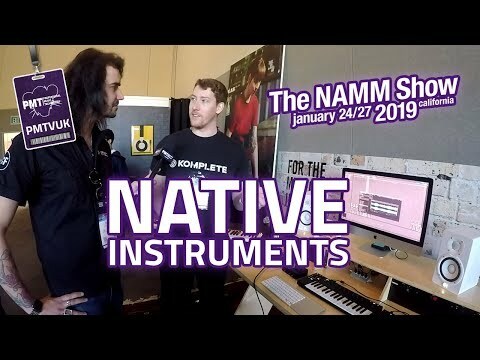 When it comes to making user-friendly gear for studio musicians, producers and songwriters, no other brand does it better than Native Instruments!